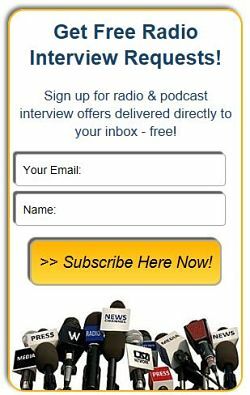 Pete Canavan, Personal Safety Expert, Author and Speaker - Radio Guest List.com - How to Get Radio Interviews and Find Podcast Guests! Personal Safety Expert Pete Canavan will make your audience safer both online and offline in just minutes. Pete has been helping others stay safe from both online and offline threats for over 20 years though his IT security company, his martial arts teaching, and his books. He'll share critical safety secrets he has discovered through his unique blend of experience as an IT security consultant, self-defense instructor, university public safety officer, and event security professional. Being the father of 3 sons, the oldest of which started college this year, Pete wanted to create a guide to help keep students safe during their years in higher education. He ended up taking two years to compile the most comprehensive guide to personal safety ever written and geared it specifically towards college students since they are at the most influential and vulnerable times in their lives. In just a few minutes, Pete can impart essential tips and techniques that will make your listeners safer from threats to both their online identity and their physical body. Pete's most recent book, The Ultimate Guide to College Safety, is the most comprehensive guide to keeping students safe ever written. It is the ultimate educational resource for students, parents, and colleges to keep our campuses and our students safe from both online and offline threats. Pete is available for speaking and writing on both college safety and personal safety as well as conducting workshops.